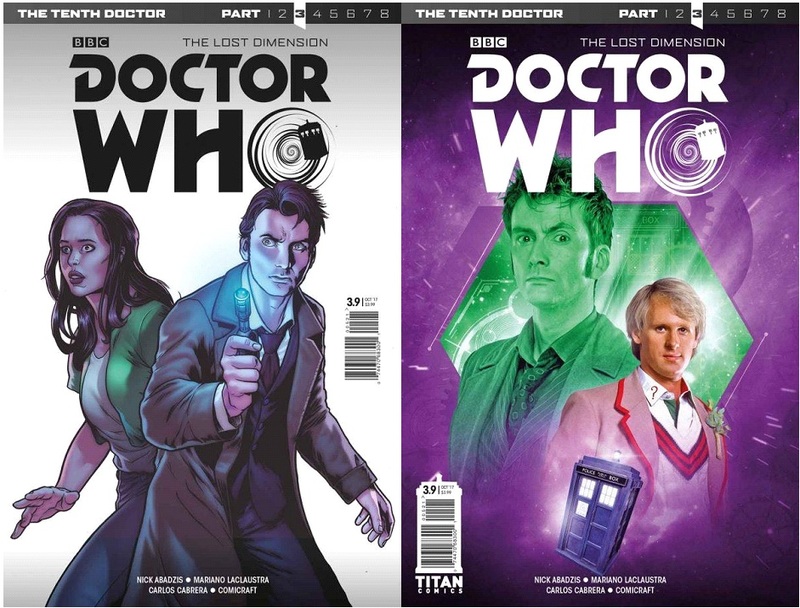 This year, Titan Comics’ event, The Lost Dimension, tells a huge narrative, embroiling numerous incarnations of the Doctor – notably the Ninth, Tenth, Eleventh, and Twelfth. But it takes a plethora of skilled writers to concoct such a grand tale. DWC: Hi Nick! So how did The Lost Dimension first come about? NICK: Every year, Titan do a Doctor Who crossover event – it’s become something of a tradition. 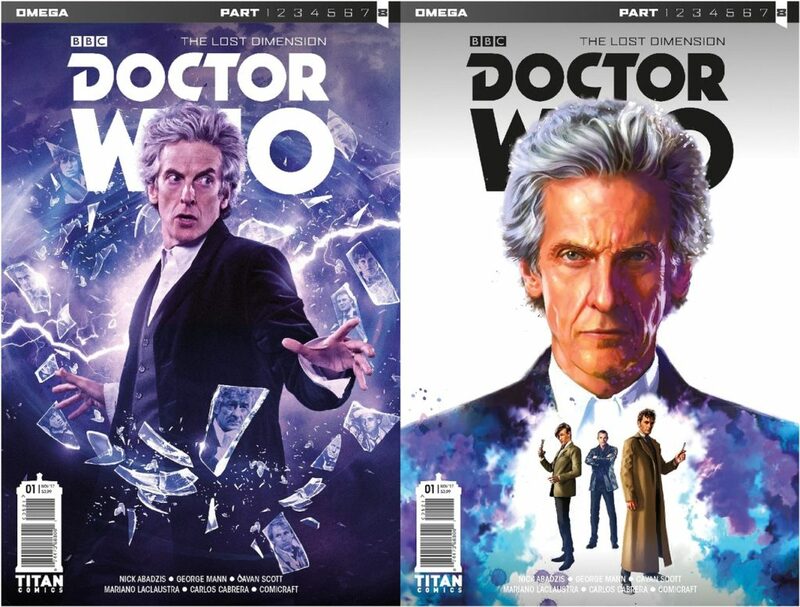 This year, Andrew James, the senior editor on the Doctor Who range, asked me to be to be one of the writers, working with Cavan Scott and George Mann, who often work as a writing partnership anyway. The thinking was that this event was going to be even more complex than usual, and after we’d bashed out the overall idea and shape of the narrative together with Andrew’s input, we’d each be responsible for finishing certain portions of the story. There was a somewhat different original plan to what we ended up with; all sorts of suggestions and ideas. That’s normal – everyone throwing something into the pot. It was always intended to be universe-spanning high adventure, Doctor Who-style. I ended up with two central struts of the story that turned out to be the Tenth Doctor and Eleventh Doctor solo issues (with guest cameos by earlier Doctors). It was logical that I write the Tenth Doctor solo portion, as he’s my usual Doctor, but I was very happy to do an epic Eleventh Doctor issue too. The cameos include a non-speaking glimpse of the Third Doctor, but I also got to do a speaking scene with the Second Doctor. Can’t tell you how much I loved writing for the Eleventh and Second Doctors in that script! How was the collaborative process? Did you meet up with Cavan Scott and George Mann in person to flesh it out, or was it all by email? No – I’d met Cav and George in the flesh before, but owing to the fact that I live in the USA, there was no opportunity for me to join in a personal roundtable, although Cav and George did of course do that, as they live nearer each other! Otherwise, we just did it all via email. They met and hatched a huge game plan and I contributed various ideas, visual elements, and emotional turning points to the story. 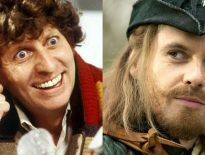 I’d known Cav’s work for years, via his scripts (with Mark Wright) for Big Finish, and George from his War Doctor novel [Engines of War], and it was a very easy and enjoyable experience working with them. They’re hugely creative gents, and they both have an excellent sense of humour. We all know and love Doctor Who, so it was a meeting of minds; we all just sort of leapt into concocting a sort of fan/pro uber- broth of a story. My methods of story generation are a fusion of both the visual and the literary and are slightly different from their approaches, but we had a huge laugh just messing around with all the different elements and fusing them together into a total whole. Hats off to them both; they took all my contributions and crafted them into the epic final story document, which also had Andrew’s input. I think we worked together extremely well overall. We’ve previously talked about the fine line writers have to tread when it comes to continuity references. How did you find doing this yourself? Was there anything you decided not to run with? I always look for the overall through-line of any single issue that I write – if you like, a sense of balance to the story, the idea that you’re going to give the reader a sense of satisfaction when they finish it, even if it’s, say, part two of a four-parter or whatever. That’s always my overriding concern. You have to give the story a satisfying shape, a central spine. I generally have too many ideas to fit into a single script, and writing for comics is very much a process of judicious self-editing anyway. 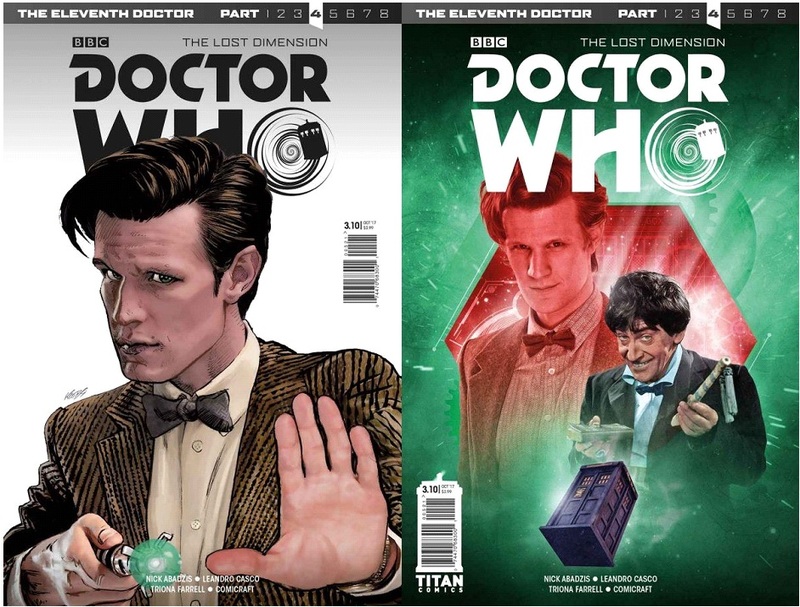 You have 22 pages per issue (sometimes less, seldom more) and Doctor Who can be very complex. So, continuity references for the sake of continuity references are often the first things to go. Jokes, also – I often sacrifice good lines when I’m taking second or third passes over dialogue which can be slightly painful. But you just do it and move on, move the story forward. Inevitably, there are small casualties, but that’s just part of the process of creating a story. In the end, your greatest fidelity has to be to the structure of the story and the reality that the characters are living through, to the sense of immersion that you’re supplying your readers. I think that’s of paramount importance. That said, in a story like The Lost Dimension in which we’re celebrating the lore and history of Doctor Who, it’s inevitable that there will be all sorts of nods to continuity! To a certain extent, I think if you’re steeped in the mythology of the show, as Cav, George and me all are, that sort of thing takes care of itself. It’s going to be there, whatever we do, just because we know it and respect it. We want it to be in there too! 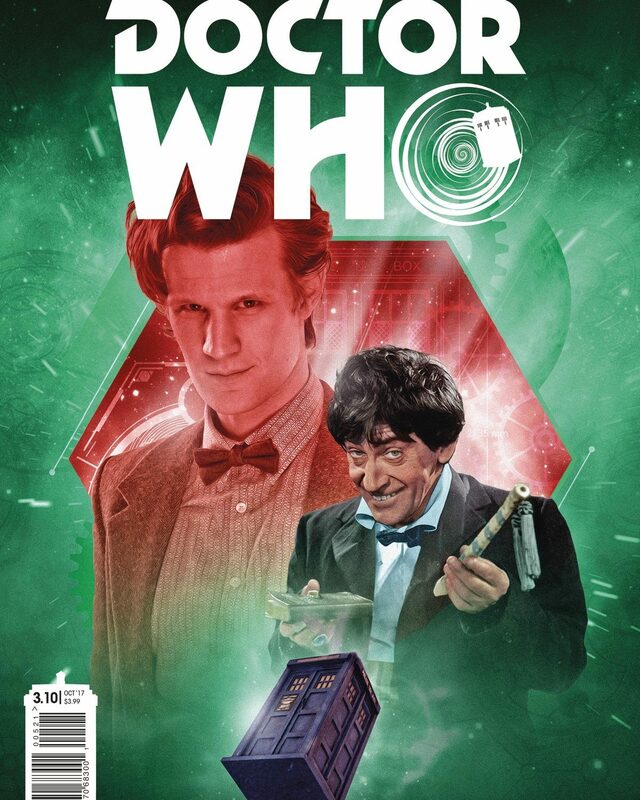 So, all that said, I got to write an old enemy of the Doctor’s in my Tenth Doctor issue. I won’t tell you who that is, but for me that was enormous fun because I haven’t had a chance to write them before. As for my Eleventh Doctor script, that’s about full-to-overflowing with certain fundamentals of Doctor Who. Also, you have to be considerate of your artists, and what you’re asking them to draw, and the amount of time they have to draw it in. With something like this project, which had to be completed quickly, you want to challenge them and give them something fun to draw, but you don’t want to kill them! It’s all about achieving that balance. I think this is the first time you’ve written for the Eleventh Doctor; how did you find that process? And would you do it again? I absolutely would. I loved writing him, and his companion Alice Obiefune too. Initially, I did a lot of research, watched a lot of his episodes, so was surprised that a sense of both he and the Second Doctor came to me more easily than I thought they would. The Second Doctor in particular; so much of how he speaks is in his performance, and initially I thought that replicating something of that on the comic page might be difficult. Also, Matt Smith has a certain precision in the way he speaks lines, so you want to capture those cadences. I surprised myself in that both Doctors were already present in my mind, that finding their voices was work I’d already done; it was more a process of refining it slightly. Cutting it, because it was so much fun to write! 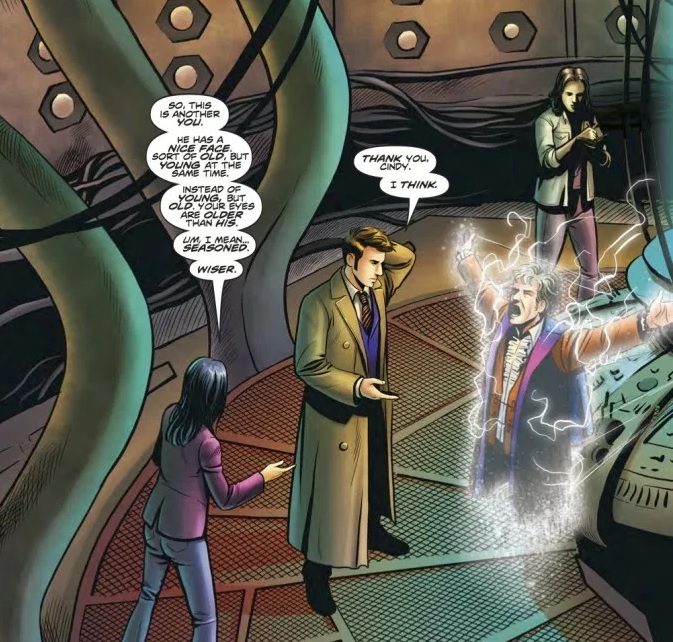 There’s another character in my Eleventh Doctor issue that might also qualify as a fundamental element in Doctor Who mythology, and whom I loved writing but I’m not sure if I’m allowed to say who that is yet, so I’ll let you find out for yourself. I’ll just tease that it’s someone to do with ancient Gallifrey. Often, in multi-Doctor stories, the core action revolves around the current incarnation of the Doctor; this event seems to come at a very good time because while Peter Capaldi’s the current Time Lord, the show’s deliberately looking back, as we come ever closer to his regeneration. So how do you balance the action between four Doctors? Essentially, via careful planning and good structure. With four leads, you have to divide the action between them carefully, especially towards the climax. A lot of that actually ended up in Cav’s hands, as he wrote the final episode of The Lost Dimension, but he threaded in all those elements we’d all carefully seeded earlier, and he gives each Doctor their moment in the limelight. You always have to leave the current incarnation at the top, as it were, so of course Capaldi’s Twelfth Doctor is the one who will ride off into the sunset. For me personally, there’s always a sense that whichever Doctor I’m writing is “current” (most usually the Tenth) but that’s how you create living, breathing characters, whose ongoing adventures continue with a sense of character development, of peril and high stakes for his companions. Is there anything coming up that you’re particularly excited to see how fandom reacts? 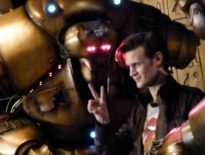 I hope readers enjoy my Eleventh Doctor segment as much as I enjoyed writing it. As much as I enjoyed him! And finally, what can you tease about the future of your Tenth Doctor comic? I’m writing the final arc of Year 3 right now. This year has been an emotional journey for the Tenth Doctor and his companions [Gabby Gonzalez and Cindy Wu], and it’s been a bumpy ride in some cases. After the honeymoon period of being a companion, both Gabby and Cindy, and Anubis too, have realised there is a certain cost to travelling with the Doctor, especially this sometimes hubristic tenth incarnation. He loves his companions dearly, but he can’t say so, because he knows he’ll eventually lose them. “Humans decay,” as he once put it. Facing that – just dealing with it – is becoming more difficult for him. How did he end up as the ‘vainglorious’ Time Lord he appeared to be at the end of his life? I hope to shed some light on that. A lot of plot threads from the previous three years come to a head. Don’t forget to pick up the highly-recommended 8-part Lost Dimension, beginning with its Alpha issue; Nick’s The Tenth Doctor #3.9 is out now, and The Eleventh Doctor #3.10 is released next week. The comic event concludes in next month’s The Lost Dimension: Omega, written by Nick, Cavan, and George.